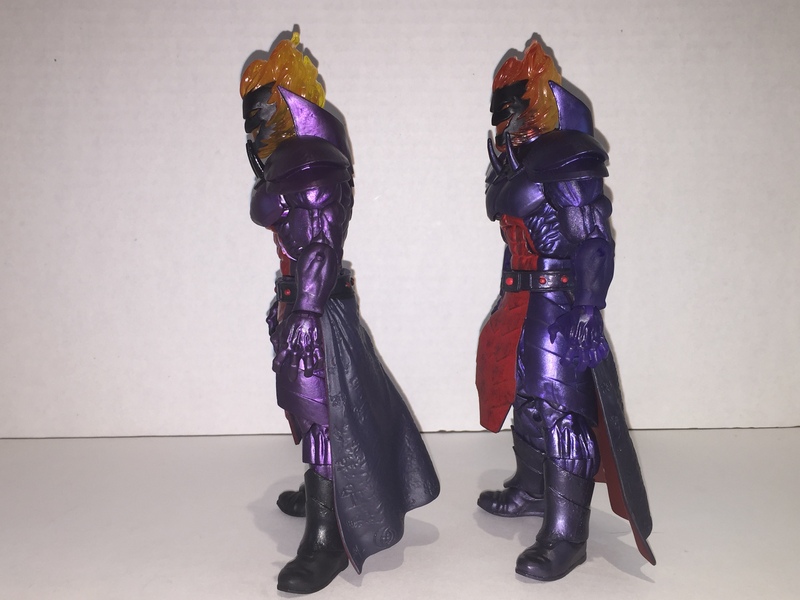 BAF and SDCC Dormammu Comparison Review | Jesse Hecht C.R.E.A.T.I.V.E. 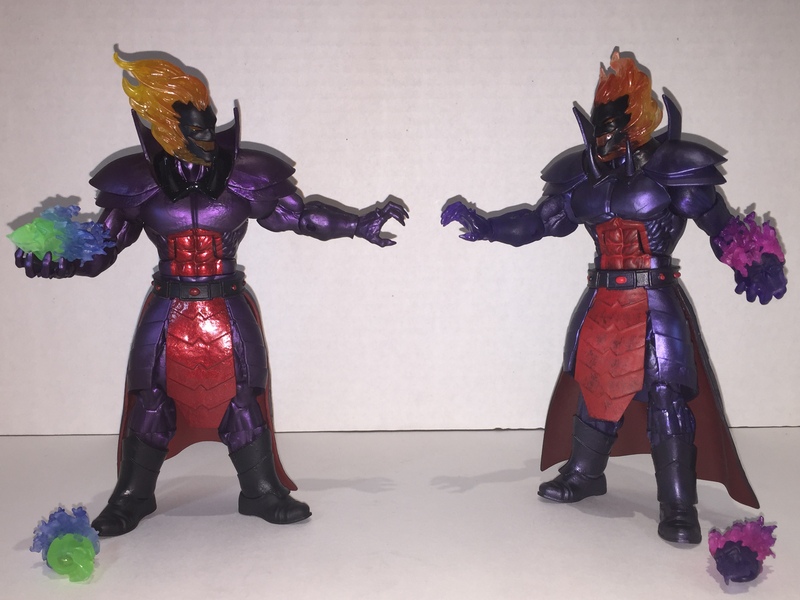 So after a long month of traveling the multiverse, I have returned with new drive and vigor, as well as these two: the BAF Dormammu and the San Diego Comic Con (SDCC) Exclusive Dormammu. 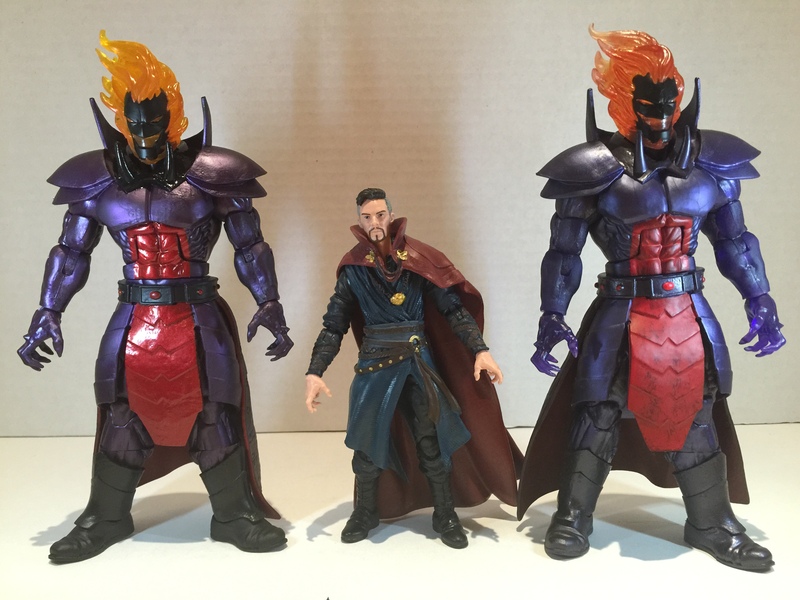 The BAF Dormammu is built from figures from the Doctor Strange Wave, while the SDCC figure came from the Book of the Vishanti, the same one that the Astral Doctor Strange came from. 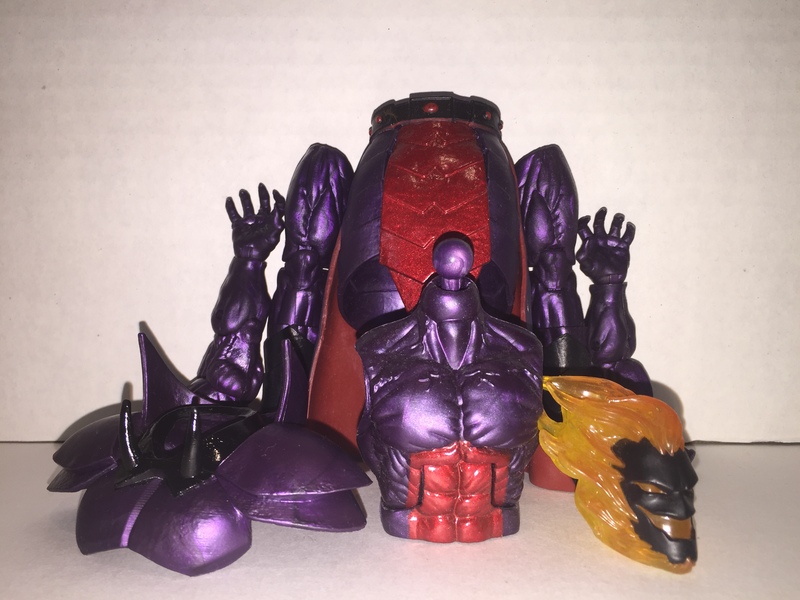 Eight Pieces comprise Dormammu, along with some effects and he looks great. Powerful, imposing, and evil-looking, these figures look awesome. A far cry from an appearance in a recent film, Dormammu’s appearance hails from the comics. Plated armor and fiery visage, with a little painted-on dirt to rough him up a little, to show his age a bit. 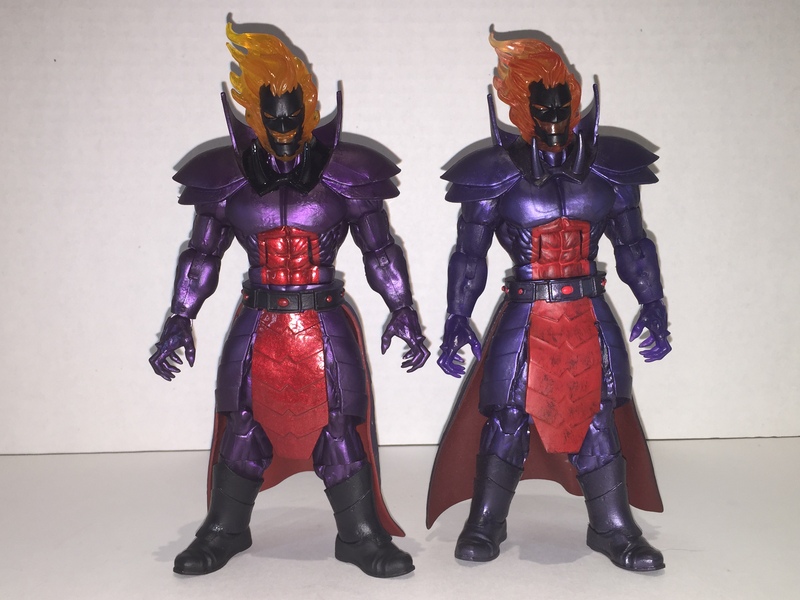 As an ancient, everlasting evil, Dormammu looks older in the SDCC version, as opposed to the shinier and newer looking BAF. The armor is also ribbed slightly, as opposed to the smooth plastic of the SDCC version, and the red pieces give off a sheen that the exclusive lacks. In short, the BAF lacks a character and gravitas that the SDCC version brings to the table. Sure, it may be shinier and more purple, but he looks more regal like a king than an ancient cosmic entity. The fire also lacks the “oomph” that the red paint places on the exclusive’s face. 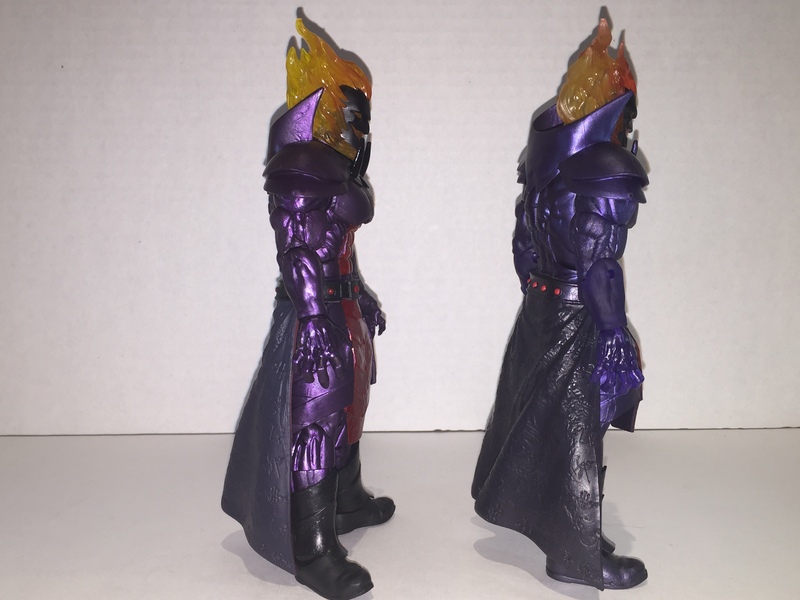 The SDCC version has transparent purple hands that stand out more than the plainly armored BAF ones, and this bolsters the exclusive even more. The BAF boots have less of a shine on them than the SDCC version, so at least something is preferred. The skirtpiece is fantastic on both. The muted blue-greys and black really sell it, and there are runes on the edges, making this a great detail. The interior is even painted on the SDCC version, adding more paint wash to show the age. 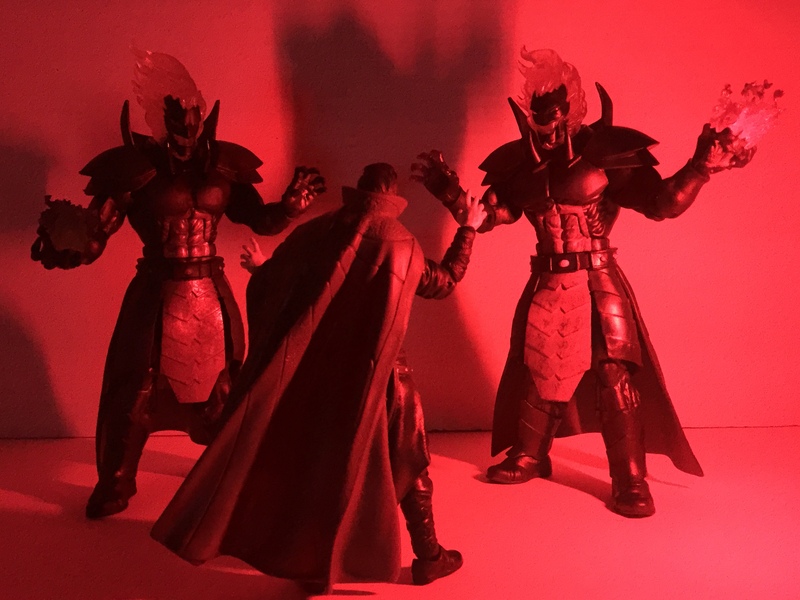 I’m actually starting to think that these two are actually a younger and older Dormammu! I don’t know that much about the comics, so… Maybe? 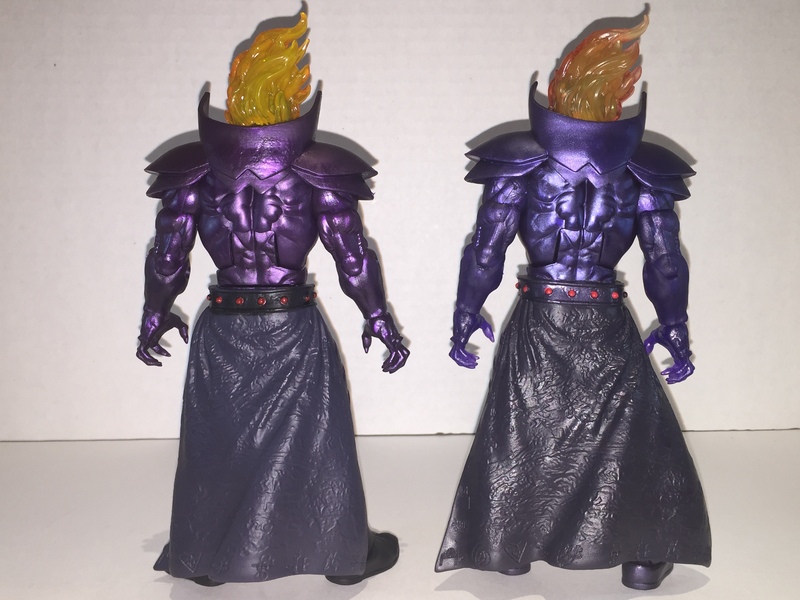 Accessories are both dual-colored skulls that adds some threat to Dormammu. JUST going by the figure, what long range attack would he have aside from the skulls? These skulls were also a previous mold of a Ghost Rider head while the body is a reuse of the Terrax body from one of the first Marvel Legends reboots. The SDCC and BAF Dormammus are both very good figures! 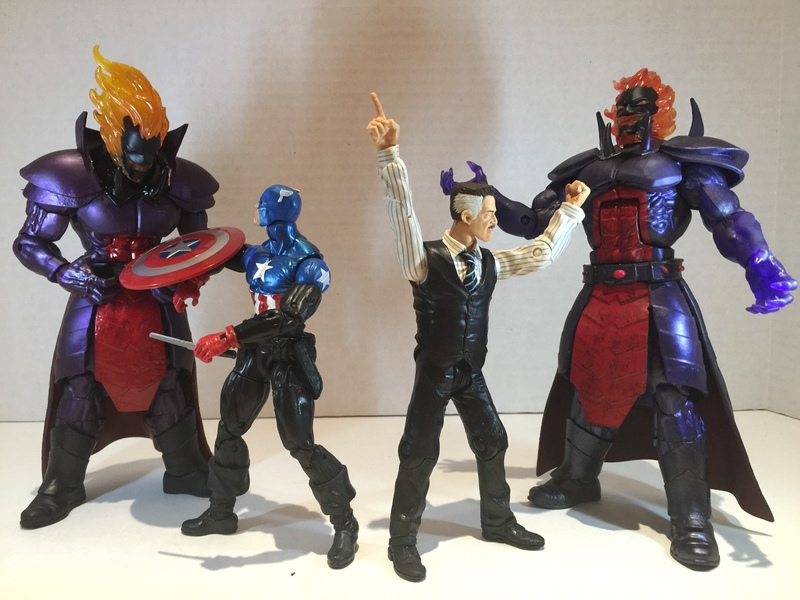 While I prefer the SDCC version, the BAF is easier to come by, and if you only want Dormammu, you’ll also get all of the great figures from the Doctor Strange wave as a bonus. As always, thank you for reading and we’ll see you Monday for more reviews.